Politicians and members of the public are growing frustrated with civilian volunteers who rescue migrants in the Mediterranean with some calling them “migrant taxis”. Iuventa Jugend Rettet is a civilian volunteer organisation from Berlin that rescues migrants who make the dangerous voyage from the North African coast to Italy. More often, the group are finding the public does not support their endeavours and the once large stores of money they used to receive are dwindling, Saarbrücker Zeitung reports. Some on the internet refer to the group as “human traffickers”, and others have even expressed hope they drown in the sea. “This is mentally extremely problematic for volunteer work,” said spokesman Pauline Schmidt. According to Schmidt, the attitude of Germans to migrants has changed and so has the number of donations, which is rapidly decreasing. “We need 40,000 euros a month to carry out the rescue operations,” she said. Hans-Peter Buschheuer, spokesman for the NGO Sea-Eye hit out against a recent report from the European Union (EU) border agency Frontex which said that many NGOs are helping people smugglers – unintentionally, and some purposely. “We are definitely not a taxi for refugees,” Buschheuer said. 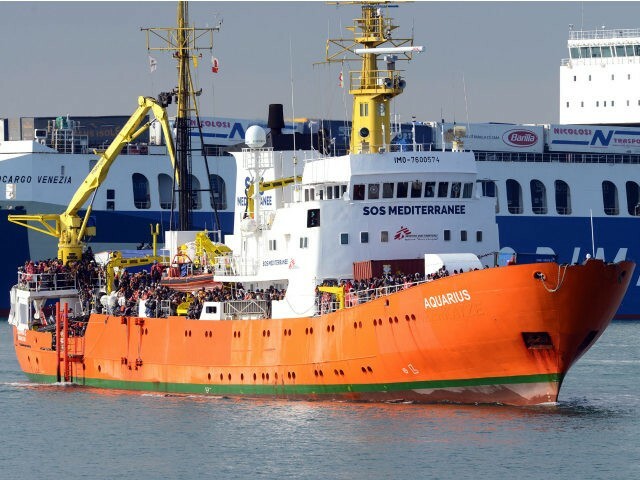 In December, the EU accused various migrant rescue NGOs like Médecins Sans Frontières (Doctors Without Borders – MSF) of actively working with people smugglers to further an agenda of mass migration and open borders activism in a leaked confidential report. Frontex claimed that migrants were given directions of where to find NGOs ships which hinted at collusion between the groups. MSF hit back at Frontex and accused the EU of making “the lives of refugees and migrants miserable”. According to Frontex’s statistics, around 40 per cent of all the migrant rescue operations are conducted by civilian NGOs. Many of the NGOs are based out of Malta including Migrant Offshore Aid Station (Moas). Moas spokesman and co-founder Regina Catrambone says her organisation is also feeling the pinch due to a lack of donations and a populace turning against her work. Last year, the Mediterranean migrant route from North Africa to Italy saw a record number of migrants crossing into Europe. Since the start of the year, the figure has been even higher than 2016, prompting the EU to meet in Malta earlier to try and resolve the crisis. So far, no solution has been found.